Your slice of hobby goodness within the warp of the web…. 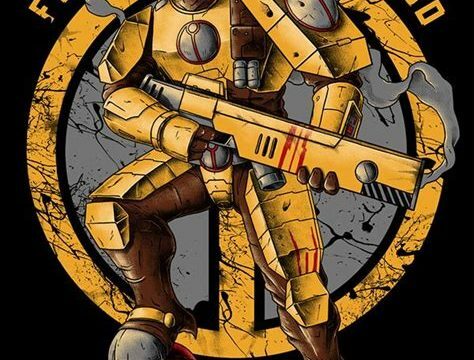 Bonjour fellow Nerdists, Garfield here again with a quick write up on, in my opinion, how to deal with Imperial Knights using Tau. Over the past few months, the meta appears to have shifted yet again. Only weeks ago Chaos Soup Hordes were romping tournaments. Now we’ve gone full circle with 4 out of the top 5 lists at the recent Bay Area Open (BAO) in the good ol’ USA. I’ve recently had a couple of games against Fingers’ rather impressive Knight army and have learnt alot both times. Both times he has featured an AdMech detachment to help his big boppers out. Now, I don’t like soup. I think it gives people, especially Imperium players, an unfair advantage against mono-codex factions, but oh well, must-have to deal with it. 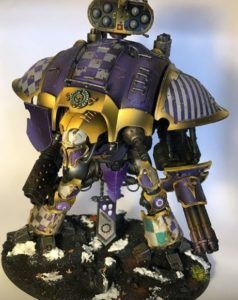 But using AdMech with Knight works fluff wise in my opinion. Giant bots supported by little bots works. I’ve tried a couple of lists against him and have had varying levels if success. 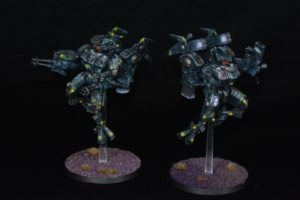 Here’s what I think a Tau player needs to do in order to deal with Knights. Tau Sept. You need this in your life. This Sept gives you access to the best Stratagems and Special Characters we have access to. No ifs, no buts. Focused Fire Stratagem. Whilst expensive it’s totally worth it. Work out how to inflict just 1 wound on a Knight and unleash this bad boy. Increase all wound rolls by +1. Darkstrider. 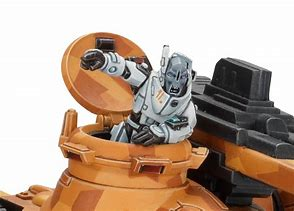 You can only take him in a Tau Sept. His special ability to give +1 to wound rolls of a Firewarrior unit can be the fatal against anything, especially when bringing the wound rolls down from 5 to 4. You do the math. Stratagem then brings this down to 3s!! Longstrike, again, Tau Sept Only. Take him with Ion Cannons. This tank ace and hero of the empire brings the pain against vehicles and monsters. He’s hitting on 2s (rerolling 1s with Markerlight Support). He normally wounds Knights on 4s, but if you have the Tau Stratagem in play, he wounds on 3s. Combo this with his own special rule and suddenly you’re wounding on 2s. Season with some Seeker Missiles and you’re going to be lighting up the stage real quick. Commander. Coldstar or any other. Launch Kauyon. This is rerolling all wounds. You can see where this is going. Riptides. Take 2 or 3 with Heavy Burst Cannon. In my list in run 2 Riptides and 1 Y’Vahra. I actually use the Y’Vahra as a bit of a distraction and back field nuisance with its ability to deep strike. 2 normal Rippers with ATS and Target Lock. Time for another Stratagem, Command and Control Node. This puppy let’s you reroll ALL wound rolls for Battlesuit. Now…heres the kicker….if you have full Markerlight support, and you bloody well should have, the Rippers are hitting on 3s, rerolling all misses. Combine that with wounding on 3s (Tau Sept Stratagem) and rerolling all failed wound rolls (Kauyon). If you’ve Nova Charged your Rippers, that’s 18 shots per Ripper. That’s some serious juice. Now, combine all of the above. If you don’t kill a Knight with that combination the dice Gods hate you. I actually killed a Knight Gallant with a 2+ save using the above and I didn’t have Longstrike. Yes you are focusing the large bulk of your army into killing a single model of your opponent. But bare in mind what your opponents’ model is. If it hits your lines you’re in trouble. If it stands back, you’re in trouble. So it needs to die. Also, losing a Knight is a big deal, usually a quarter of your opponents’ army if you’re playing 2k points. Also bare in mind, you army will have other units that can take care of other, smaller enemy units. You should really have around 40-50 firewarriors. You may have Stealth Suits holding your midifeld. You may even have another Quad Fusion Coldy running amok somewhere. 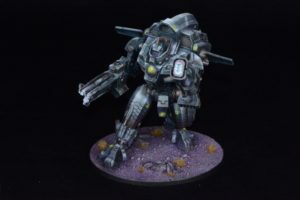 There are other units that are also decent at taking out Knight such as the Stormsurge, but as I do not own any, it is hard for me to make a personal opinion on them. 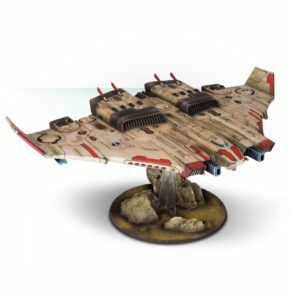 One model that I would love to add to my army is the Tiger Shark AX-1-0. This thing is a monster. Whilst it is probably not that “competitive”, it has a macro weapon. A MACRO WEAPON! Enough said. Peace and love, For the Greater Good, Garfield out.